I love living in a clean and neat home but I detest doing house chores. I tried hiring a person to help out with the cleaning but that did not work out because I felt that I could do a better job. Luckily, I live in a relatively small condo and I am in a point in my life where I am always de-cluttering and streamlining. So my solution for a clean and tidy home is to break down the tasks and spread it over the course of the week. 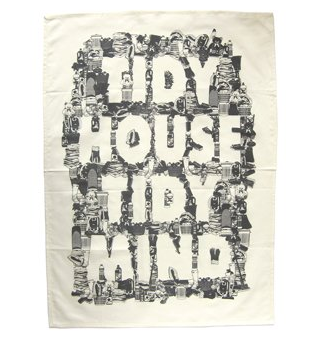 I choose to do the bulk of the housework during the weekdays so that my weekends are mostly free of chores. Instead of spending 2-4 hours cleaning on a Saturday or Sunday, I Spend 15-30 minutes a day cleaning a specific part of my home every week night. Cleaning during the week was less stressful for me and it freed up the weekend for other things. Try it! Here is a sample of a proposed schedule. A general sweep of the area should take no more than 30 minutes. “Deep cleaning” and organizing should be done on the weekends if necessary. The kitchen should be cleaned on a daily basis (dishes, wipe down etc.) and a more intense cleaning can be done once during the week. What are some of your tidying and organizing tips?